Reiki (pronounced ray-key) is a non-invasive practice in which the practitioner places hands lightly on or just above the client with the intent to facilitate healing energy. Science does yet fully understand the documented positive effects Reiki has on our body’s nervous system. Reiki energy engages our body’s self healing mechanisms so we are better able to handle the stressors that come in to our lives. 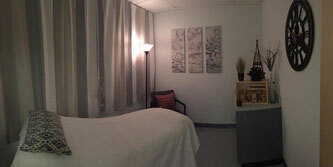 Many prestigious hospitals incorporate Reiki in their patient care protocols. Patients’ documented experiences include improved sleep, better digestion, more energy, feelings of calmness, rejuvenation and even improved focus and concentration. This technique is used to lessen physical, mental, emotional, & spiritual imbalances which the body often experiences as pain, distress, or dis-ease. The intention of Reiki energy healing is to support the receiver’s return into balance so that self-healing can occur. learn more about how Reiki can help you!